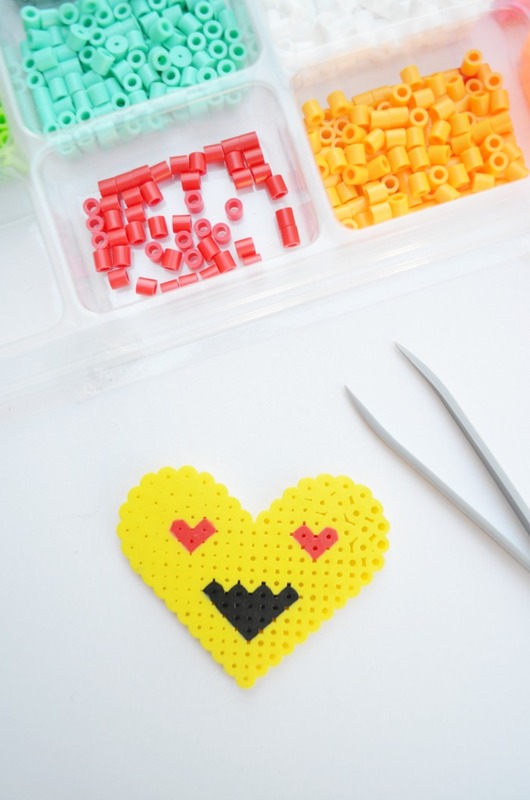 Perler beads are a fun past-time that are making a comeback. As a kid I enjoyed making simple designs as coasters and photo frames. Now there are all kinds of fun ways to pixelate your favorite characters with a larger variety of colors. 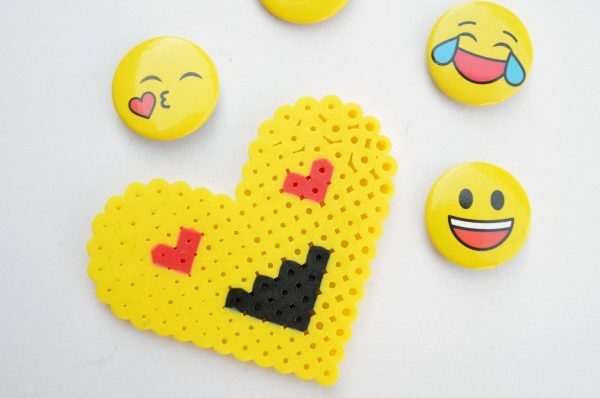 The shape of this pegboard is perfect for all kinds of fun designs. Kids (and adults) get lost in the endless design options. Place 10 yellow beads starting at the bottom. You should have 4 rows of yellow. In the middle of the 5th row place one black bead. Above it place 2 more, on either sides. In the row above place 3 black beads, then 4 black beads. Fill in the remainder of the rows with yellow. Place 2 additional full rows of yellow. Place 3 yellow beads in the next row on each side. Then one red bead on each side. Then fill in the remainder of the row with yellow. In the next row place 3 yellow beads in the next row on each side. Then 2 red beads in each side. Fill in the remainder of the row and peg board with yellow. tip: Use tweezers to help place beads. It’s quicker and more accurate. How cute is this? 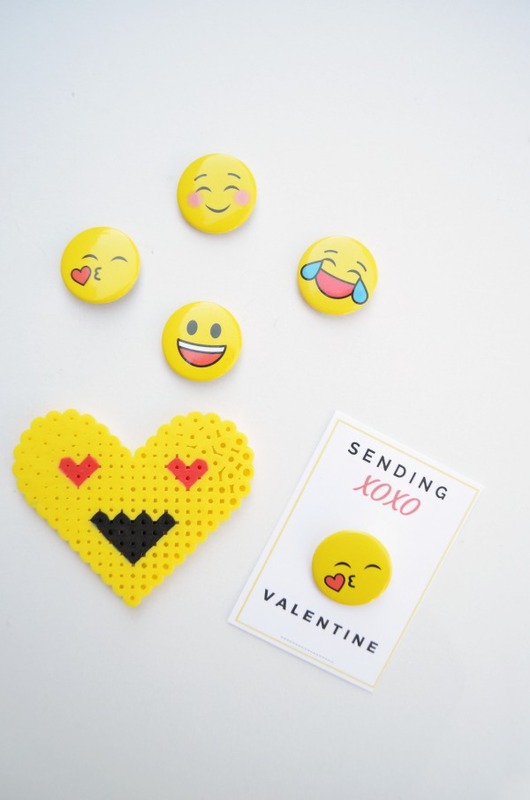 Try making the emoji Perler heart then checkout these other Perler bead projects.